Most of us know that getting a good night’s sleep is important, but too few of us actually make those eight or so hours between the sheets a priority. Getting enough quality sleep at the right times can help protect your mental and physical health, quality of life, and safety. Learn about sleep’s vital role in good health and well-being. Sleep needs vary across ages and are impacted by lifestyle and health. Learn how to assess how much sleep you need. These healthy sleep tips and tricks will help you develop healthy sleep habits. 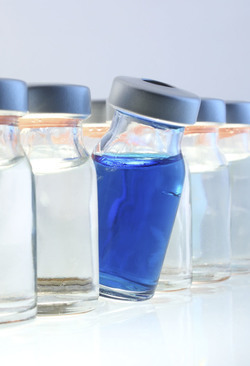 In light of the recent outbreak of measles in the US, some AlaskaCare members have raised questions about AlaskaCare’s adult coverage of the measles, mumps and rubella (MMR) vaccine. Immunization coverage is available for adults in the AlaskaCare Employee Health Plan. Members can review section 3.5.4 (c)(iii) of their plan booklet (Covered Preventive Care Services for Adults) for more information. If your doctor recommends you receive this vaccine, this preventive service would be paid at 100% of the provider’s rate if the provider is in network. Preventive care services provided by an out-of-network provider are subject to payment under medical plan provisions governing non-preventive care services. If no network provider is available in your area, please contact the Aetna concierge at 1-855-784-8646 for more information. Members should also know that the CDC has not identified any measles cases in Alaska and only two cases in the State of Washington between December 28, 2014 and February 13 of this year. Find additional information on the outbreak and the measles vaccine on the CDC website. Your wellness team, ActiveHealth Management, is pleased to announce the expansion of the Digital Health Coaching Program. A fully-integrated part of MyActiveHealth, digital coaching offers individuals a new way to engage with ActiveHealth and make better health easier. 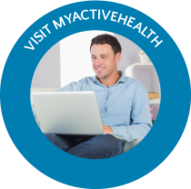 Login to the MyActiveHealth portal today to see what's new. Don’t miss your chance to win a $100 VISA gift card! Maybe you’ve had your eye on some new exercise equipment or some new running shoes—they could be yours if you win! An investment in your health is an investment in yourself! Each month, ActiveHealth Management will choose five lucky winners. It’s simple to enter: register for MyActiveHealth if you haven’t already, or sign in and update your contact information. Each day you sign in is another chance to win! Do you have the stuff of a champion? 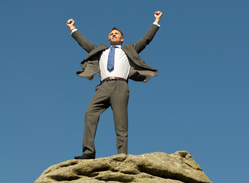 What is the role of a Wellness Champion? A Wellness Champion can be one person or a team of people. The goal is simply to help create a healthier workplace. Wellness Champions often volunteer or are asked to help in the planning and carrying out of health and wellness programs. If you are interested in becoming a Wellness Champion for your office, please contact Jennifer Dalton for additional information. 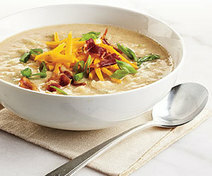 Try a lighter, healthier version of creamy potato soup. Swapping out some of the potatoes for cauliflower lowers the calories while maintaining the flavor and rich, creamy consistency.